"Media literacy is the ability to ACCESS, ANALYZE, EVALUATE, CREATE, and ACT using all forms of communication." "Media Literacy is a 21st century approach to education. It provides a framework to access, analyze, evaluate, create and participate with messages in a variety of forms — from print to video to the Internet. Media literacy builds an understanding of the role of media in society as well as essential skills of inquiry and self-expression necessary for citizens of a democracy." 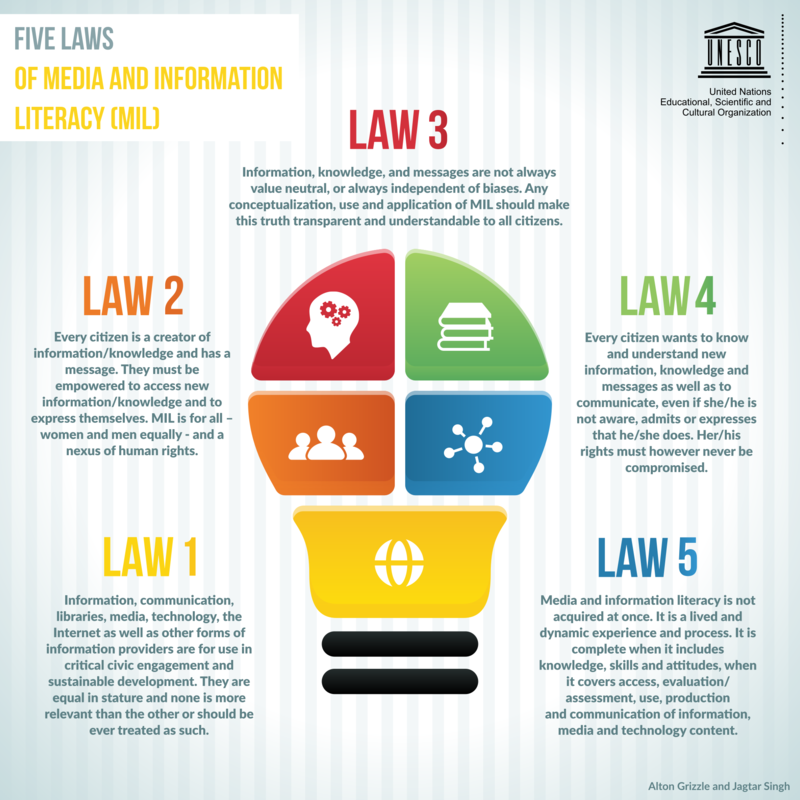 Media and information literacy "empowers citizens to understand the functions of media and other information providers, to critically evaluate their content, and to make informed decisions as users and producer of information and media content."